WHAT IS IT? : Lincoln Youth Soccer invites all players from Pre-K to 6th grade to participate in our 2019 Lincoln Winter Training Program. Training will run for 5 weeks (starting Feb 24 and ending Mar 24) and is a great way to prepare for the upcoming spring season. The first half of each session will consist of ball mastery skills and specific technique drills run by one of our New England Revolution Academy coaches while the second half consists of playing games/scrimmages. Both Boys And Girls Are Invited To Register!! In Lewiston, Maine, where Mike McGraw coaches the Blue Devils soccer team, was an overwhelmingly white community in one of the whitest states in America. Once a thriving mill town of the Industrial Revolution, it had become pockmarked with abandoned factory buildings crumbling into the river and canals. More than half of the city’s families with children under five were living at or below the poverty line. In 2001, however, the city’s energy changed dramatically as thousands of Somali refugees began to arrive and Lewiston became embroiled in chronic racial tension. Within a decade, the town’s non-white population surged more than 800 percent. The city of 36,000 had become home to approximately 7,000 African immigrants; never in modern U.S. history had a town of its size taken in so many newcomers so quickly. 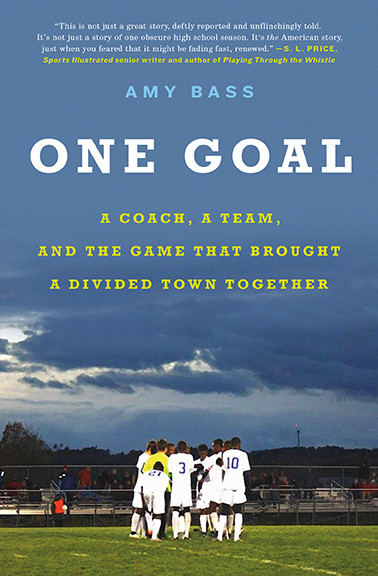 In ONE GOAL: A Coach, a Team, and the Game That Brought a Divided Town Together, Amy Bass tells the timely and inspiring story of how the longtime Lewiston community and its newly arrived Somali immigrants came together on the soccer field to capture the first state soccer championship in Lewiston history and ultimately chase dreams of national glory. ONE GOAL offers a testament to the power of community and a hope for our times — a story and a message more necessary now than ever. “The perfect parable for our time. 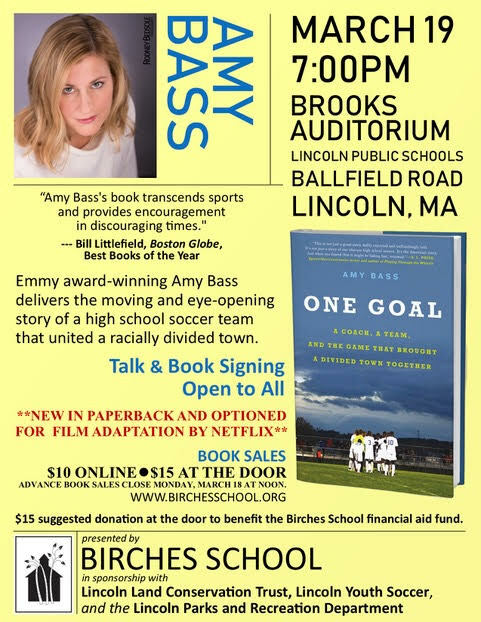 “Amy Bass's book transcends sports and provides encouragement in discouraging times." “At a time when America seems consumed by divisiveness and hate, along comes One Goal, a beautiful and important reminder that humanity's strength is its togetherness. Yes, on the surface this is a soccer book. But Amy Bass' work is so much more. It's about overcoming odds, about embracing differences, about the triumph of will and spirit. A true gem of a book." 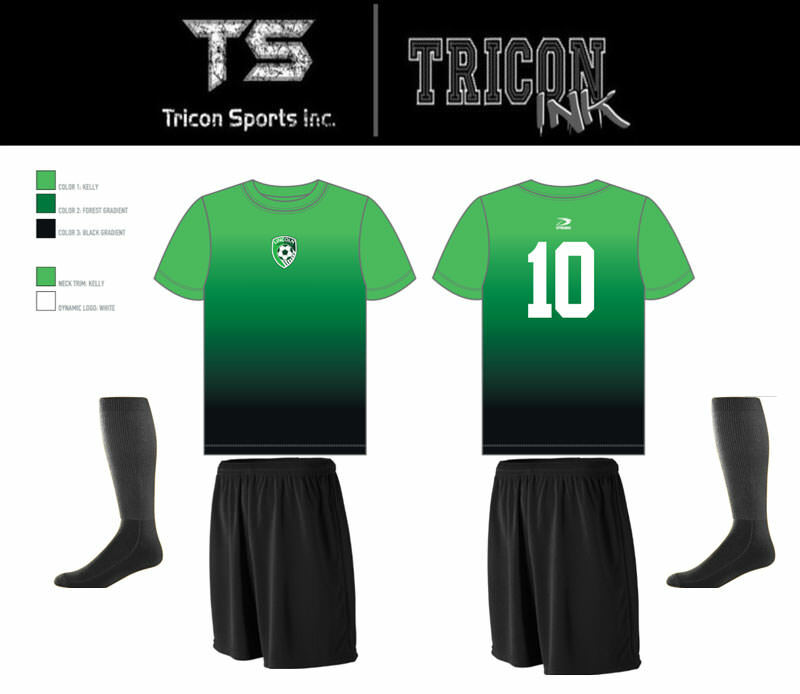 Check out the new Lincoln Youth Soccer uniforms. 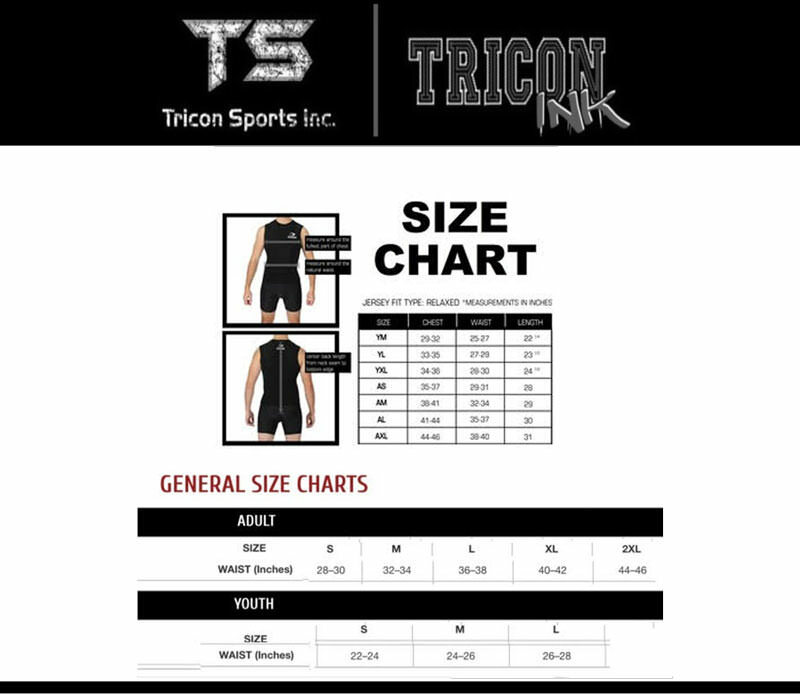 You will be required to purchase these when you complete registration for the Fall 2018 / Spring 2019 season. If you want to see a sample (material will be the same, colors may not be accurate), they will be available in the Parks & Recreation Department (Hartwell Pod A) for people to check out for sizing purposes. We encourage everyone to check out the samples before ordering. To ensure Lincoln Soccer remains a viable community organization, the LYS Board decided to slightly increase the registration fees associated with each tier. Financial Assistance is available to families in need. Again, no family or player will be denied the opportunity to play soccer for financial reasons. After these increases, Lincoln Youth Soccer remains one of the most affordable sports leagues amongst nearby towns. Registration for Fall 2018/Spring 2019 is now OPEN!! Lincoln Youth Soccer partners with AdminSports.com to process online registrations. Please note that there is a new fee schedule for the Fall 2018 / Spring 2019 Season and there are NEW uniforms that must be purchased in conjunction with registration. There are 4 steps to the online registration process. Family Setup: You will only have to do this the first time you register. Please use an e-mail address you check regularly. If you forget your password, you will need your correct e-mail address. Player Setup: Again, you will only have to do this once for each player. Registration for the season: This section contains the information for each player for the current season: grade, health insurance information, emergency contacts, medical information. Checkout: You may pay by credit card or request a scholarship. No child will be denied the opportunity to play soccer for financial reasons. Lincoln Youth Soccer will be conducting tryouts for next Fall's 7th/8th Grade boys teams on Brooks field on Wednesday June 13th from 5:00 to 7:00pm. Girls 7th/8th Grade team tryouts will be Thursday, June 14th, 5:00 to 7:00 pm on Brooks field. 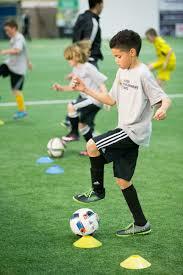 Prior to July 1 of the current soccer calendar, there will be a refund of 90% of the registration fee. There will be no refund after July 1st. Please understand that by July 1st teams must be registered with BAYS and fees are being paid based on the number of participants and teams submitted. Our Parnership with the New England Revolution Academy! Learn more about the New England Revolution Academy!